Last night's lazy evening turned into a lazy morning as well. I finished my book this morning, and was definitely procrastinating going out for a run--it was SO windy! The wind was at 16 mph, and the gusts were 30 mph. We could hear it whistling really loudly from inside the house, and I was thinking how difficult it was going to be to run in that. I could have done the treadmill, but I was just going to run 3-4 miles, and I thought it might be a nice adventure to go out in that wind. The "RealFeel" temp was just 16 degrees, so I dressed pretty warm (long-sleeved shirt and a fleece over it, ear warmer headband, and gloves). I wanted to do a faster paced run, so I was aiming for sub-9:00 miles; but I wasn't sure what would happen, because of the wind. It ended up not being as bad as I thought it would be. I decided to stay in the neighborhoods, so that the houses would at least block the wind somewhat. Because I was doing a big loop, I didn't have the usual headwind and tailwind like I do with an out-and-back; it was coming from all different directions, based on which way I was headed. It was kind of funny, because I was running along just fine and then a gust would hit, and it was all I could do to stay upright. It felt like I was running in place. But my pace was pretty good, despite the wind, so it wasn't all bad. I knew I would do either three or four miles, depending on how I felt, and since I was feeling pretty good, I did four. The last mile was definitely the toughest, because that's when I had a headwind and the houses were spaced farther from the road; the gusts were terrible that last half-mile! Interestingly, that was also my fastest mile. I was happy with the 8:30 average pace, especially in this wind. I got an e-mail yesterday that really hit home with me, and I wanted to bring it up here. A reader wrote that she's lost 91 pounds this year (with a goal of 100 total), and her mind is having a very hard time catching up with her body. She's gone from a size 24 to a size 12, but she still "feels fat"; she feels undeserving of compliments, and gets embarrassed when someone mentions her weight loss. She thought she'd be overjoyed with her weight loss, but she's still waiting for that to kick in. She was wondering if I felt like this after losing the weight. I honestly could have written the e-mail myself! I know exactly what she's going through. I compare it to calling myself a "runner". 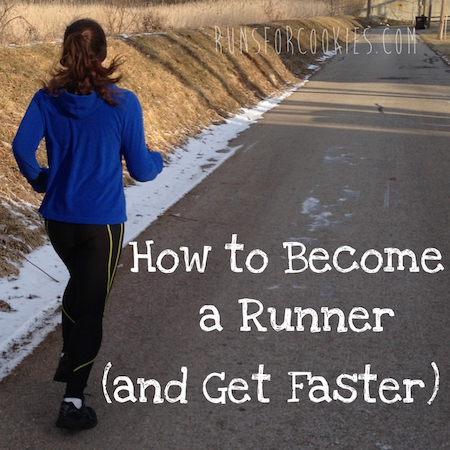 When I started running, I felt like an impostor; I wasn't a "real" runner! It took me nearly a YEAR before I would use the word "runner" when referring to myself. I was doing all the same things that "real runners" did, but I just felt embarrassed to use that word. It was the same with my weight loss. When I first lost the weight, I didn't really know when it was okay to refer to myself as "thin" or "normal"; and I certainly would never use the word "skinny"! When I would shop in the misses department, instead of the plus size department, I felt like everyone was looking at me and thinking, "Why is she shopping here? Doesn't she realize she can't fit into these clothes?" The scale showed that I was a normal weight, my jeans were a "normal" size, my body measurements were great; but I still couldn't really believe that it was ME. It's hard to describe, but even though all the numbers showed I was "normal", I felt like I still looked the same as before. I felt undeserving of compliments, and I felt like people were just complimenting me because they knew I was working hard at losing weight. I didn't actually believe them. It's taken a VERY long time, but it's gotten a lot better over the past few years. I can accept compliments and I believe that they are genuine; I see a thin person when I look at photos of me (although I still don't see it in the mirror, unfortunately); I stopped feeling like people were staring when shopping in the misses or juniors department; and I'm pretty confident that unless people know my story, they can't tell that I used to be morbidly obese. Getting to this point took a lot of time. Just like with calling myself a runner--it wasn't until I lived as a runner for nearly a year that I felt comfortable with that word. 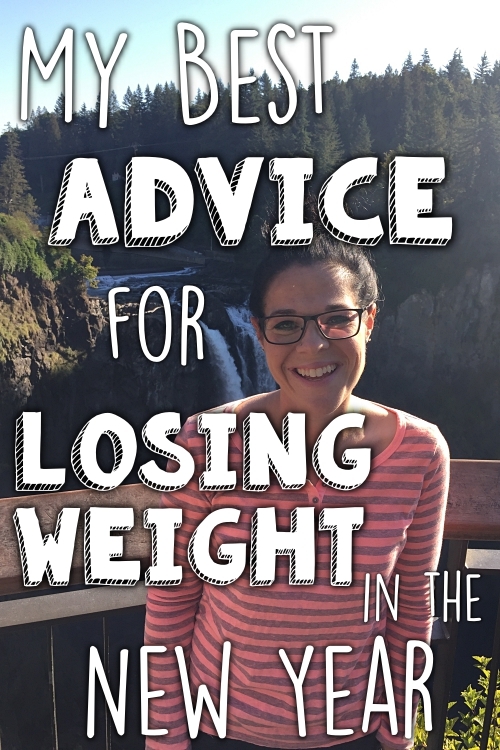 I had to live as a normal-weight person for a long time before I started to think of myself a normal-weight person, or even to just stop thinking of myself as obese. (I still have a hard time using the word "thin"). I think that it's completely normal to have those thoughts. 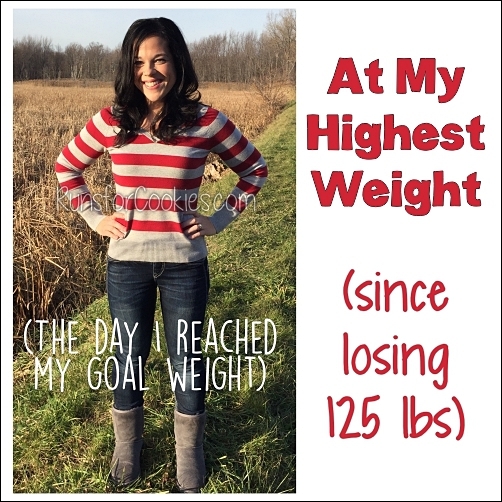 A lot of the people I know who have lost a large amount of weight felt the same way when reaching goal. They said it took a long time before they stopped feeling fat. I always liked to look at before and current pictures of myself just to prove to myself that I really did look different, and that I had lost the weight! It's nice to see how far I've come, and remind myself that I never want to go back. I'm really proud of everything that I've accomplished! This. This exactly. My wife and I have been working really hard at weight loss, through exercise (running!) and diet. We've both made tremendous gains, but both still view ourselves as fat. I get terribly embarrassed when people mention my weight loss. To me, it hasn't happened. It's not real. Any second I could eat myself back to being 300 pounds. It's taken a while, but I'm getting used to occasionally eating "naughty" things. I had a long fight with pizza, where I had to banish it from my life. Now, I can eat a 'normal' portion, and be happy. How far things have come! I can tell you that you've been an inspiration - my wife talks about your blog quite a bit. For that, I thank you. With us both going through this transformation, it's been hard on her - she's a woman, so she loses weight slower. (She also had less to lose than I did!) Seeing your transformation has made her's easier. Oh man, I could have written that email also-and some of your blog. I've lost 70 lbs but when I think of myself I think of myself as big. I'm amazed sometimes when I catch myself in the mirror; it's like I have to remind myself I"m not overweight anymore. Same thing with running. It took me forever to actually call myself a runner. I thought I had to be really fast to be a runner. I actually Googled "The difference between jogging and running" to see when I could start calling myself a runner. Other than giving myself a good laugh it actually showed me that I'd been a runner for a while. So just like I still think of myself as overweight, I laugh inside when someone calls me a runner. Thank you for your posts! They have been so helpful during my journey. Your page is bookmarked on my computer and is my daily read! I've lost 55 pounds so far, with another 30-40 to go. It's funny how I sat at my heaviest weight for so long, in denial about how big I really was, and now that I've lost 55 pounds, all I see is that obese version of me in the mirror. Why couldn't I see that version of me earlier?! I could be at my goal weight by now! All kidding aside though, thank you for this post. I've been struggling lately, as I've been on a major plateau for about 2 months. I feel like I'm getting fatter, even though the scale says the same number week after week. It just goes to show that it's not just weight we are dealing with here. There's emotional scars to heal too. I can totally relate to everything said here. I too share the journey, 83 lbs down as of today, with a goal of losing 100 lbs or more. Last night I had to buy some new clothes and I needed some women's mediums and I still feel like I'm being stared at and judged. I confess I wandered over to the plus size section without realizing it. I still see myself as fat. I can't accept compliments and I can't lose the fat mentality. Congrats to everyone here! Weight loss is hard but we're doing it! Thanks Katie for this post. Yesterday I tried to explain this "feeling fat after weight loss" subject with people who've never been fat. It is so good to know I'm not alone. I too completely understand the feelings and struggles expressed in this post. I have not had a massive weight loss but still a pretty significant one me. I was not obese but definitely overweight. I have maintained the lowest weight of my adulthood for a year now. I still see the 'old me' when I look in the mirror. I still get shy about compliments. I like hearing them-they keep me grounded and motivated. But, are still hard to 'digest'. Thank you for putting into words how so many of us feel/think. 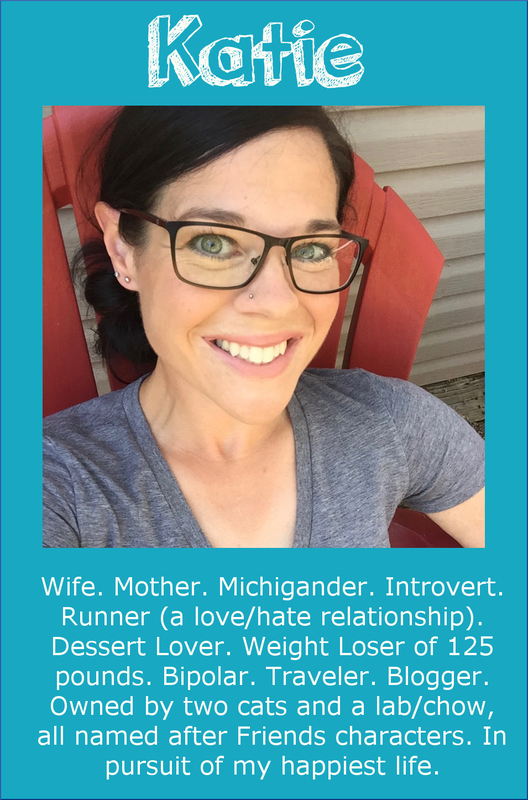 I too fell in love with running during this healthy life pursuit. :-) And, I too have a hard time calling myself a runner. Mainly because I have never won my age group....never placed in the top 10 for my age group at a big run and am having a hard time reaching my goal of a sub 30 5K. But it brings me joy,peace,calmness and health. Run on, Katie!! It's called the Imposter Syndrome and is bigger than weight loss - it permeates every aspect of (primarily) women's lives. It's the idea that you feel like you might just be fooling everyone with your brilliance. I experience this at work all the time. Psychologically, men naturally believe they're talented and competent. Women tend to think they're lucky. So when someone recognizes a woman for doing something awesome, we think it was fortuitous rather than the fruition of a ton of work. I've lost 120 pounds and have another 20 to go. I've gone from a size 26 to a size 8. When I buy my pants, I assume they're sized big. I think to myself, "If I'm a size 8, then what size do the skinny people wear?" I always thought the skinny people wore size 8's, but now that I'm wearing that size, I'm confused. Nothing makes sense. I feel the same way. I've lost 47lbs and the sales associate at a store had to finally tell me, "Get it through your head, you're a smaller size." I kept grabbing my old size! Except people keep telling me how great I look and they are seeing a huge difference in me but I look at pictures of myself earlier this year and now and I don't see it. At least not as drastic as they make it sound. I still have a long way to go (78lbs) but I wonder all the time at what point do I finally accept my body is changing. I've taken to focusing on the little things I can do now (cross my legs! Stand on the scale comfortably!) when I begin to beat myself up. I have a hard time accepting 47lbs is a lot of weight to lose. Even typing that I feel dumb. But a friend of mine has begun telling me I've lost a 5 year old. She also pointed out I'm a size away from being able to start shopping in the "regular" sections of stores. I was beginning to feel like people were feeling i was fishing for compliments when I would deny the changes in my body. I just don't see them. I still see me at 282lbs. I will for a long time. It is nice to know I am not alone in this feeling. I forgot to mention...I hate running but have been weight lifting for a few months. I asked my work out buddy the other day, "When do we get to call ourselves meat heads?" I have a sweatshirt that reference lifting heavy weights but I don't feel like I am lifting heavy enough yet to be "allowed" to wear it lol. Sometimes we need to take a vacation out of our heads. We can be our worst enemy! I was going to email you about this...your timing is impeccable! I have gone from a size 20/22 to a 6/8 and still see the same fat girl in the mirror. Why does the mind take do long to catch up? I also couldn't call myself a runner forever, even after completing my first full it was still awkward to use that title. I try on clothes at stores to get used to seeing that I truly am wearing the smaller size but even wearing a size 6 I see a size 20 in the mirror. I'm hoping for the day it connects...and hold on to faith that it will. Thank you for sharing your experience as well. I've recently lost about 40 lbs and know that while my clothing fits very differently and the scale is moving in the right direction, I truly do not see the changes in a mirror, especially in my face. I still see the same round cheeks. 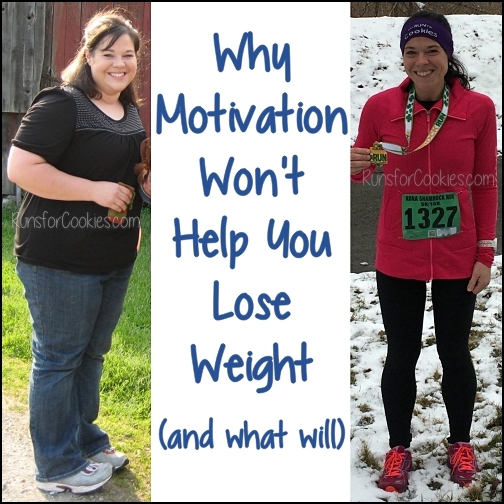 Your blog is a daily dose of weight loss and future runner therapy. Especially enjoy your Motivation Mondays! 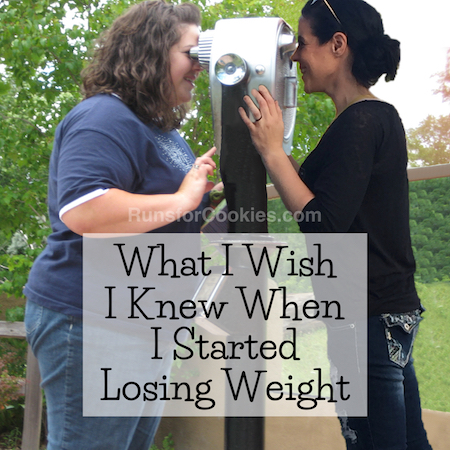 I think everyone that has experienced significant weight loss feels this way at some point. I lost 120 pounds over the last 5 years, and I still don't view myself as being much thinner. It's not until I flip through old photos that I see the difference. It's almost like another person has taken over your body! It can really be scary at times. OHHHH thank you for posting this! I think I even emailed you something along these lines once, when people at work started mentioning my weight loss to me. I took it a step further, though, and was genuinely ANNOYED by it. Haha. I've never been so much as acknowledged for looking "good", ever, because I've always been overweight. When I got to a point where my weight loss started to be noticeable, and people started mentioning it, I was pissed. I HATED it. I hated that people were looking at my body, I hated that people who had NEVER talked to me before all of a sudden were talking to me BECAUSE of my body, and I hated being in this new spotlight all of a sudden. I ended up gaining a lot of the weight back because I couldn't handle all the attention... sigh. In February 2013, I was 360lbs and 44" pants were barely fitting me. 15 months later, I sit between 203-208lbs, pants between 34-36" (6' tall). Did it mainly with relearning how to eat, starting with 6WBMO, a food scale and adjusting over time to my body and new permanent way of life. I also struggled with my body image after weight loss. I’ve lost significant weight. I've become healthier and stronger. The body I see in the mirror is everything I ever wanted. But it still feels strange. I didn't know what to do either, just like you. The thing is that people who used to be fat still have that body image in their minds even after their bodies have changed. Their perception of themselves did not change. This is especially the case if the weightloss happened fast. I have a tip for you: try on your old oversized clothes! This way you will get a clear perspective of your progress and your current body size. And there is this exercise that helped me a lot: walk in the dark with closed eyes - this way you will need to rely on your other senses in order to navigate yourself. It connects the mental image that you have of your body with the real life body of yours. During this exercise you will need to work with the body you currently have, and not the image of the body that is imprinted in your subconscious. Do this for 10 minutes a day, and you will see improvements in sensing your whole body.